Dedicated to the individualized expert care of your child's Ear, Nose and Throat needs. Dr. Shirley has years of experience treating a wide range of highly complex pediatric ENT conditions that have been referred to him form all corners of the state of Alabama, as well as from all surrounding states. He has successfully treated patients with entirely stenotic and nonfunctioning airways; patients with aggressive and deforming sinus disease; highly complex chronic ear disease - from congenital cholesteatomas, aggressive acquired cholesteatomas, complete ear drum loss, to complex ossicular reconstructions; unusual neck masses and cervical infections; congenital head and neck lesions and deformities; vascular anomalies; and children’s speech disorders due to anatomic abnormalities of the soft palate. Dr. Shirley also has vast experience in more routine pediatric ENT problems and has performed well over three thousand tonsillectomies and many thousands of tympanostomy tube placements. His knowledge in dealing with the more complex aspects of pediatric ENT care as well as the experience in having taken care of many referred complications of surgery and treatment, has given Dr. Shirley a unique experience, perspective, and knowledge base to provide expert care for a wide range of complex and straightforward surgical cases. Dr. Shirley and his staff will directly collaborate with your child's primary care physician as well as any other providers that are involved in your child's medical care to help facilitate optimum integration and continuity of care. Dr. Beth Norris, Aud. 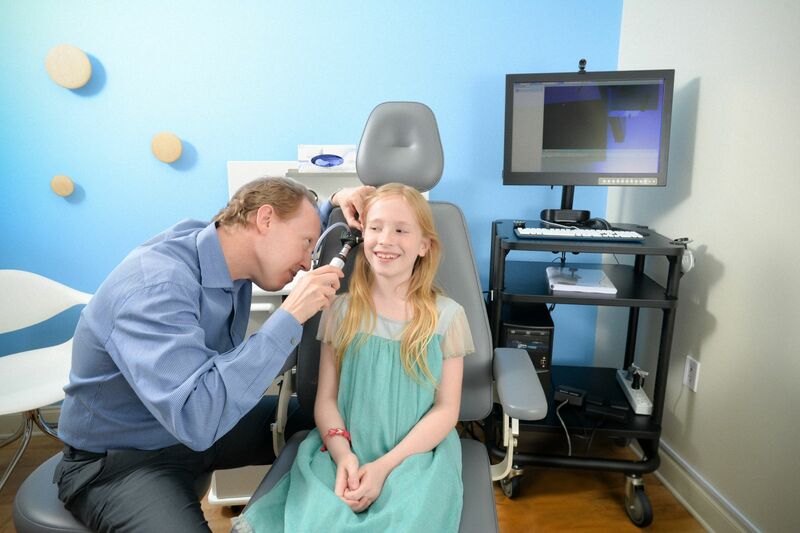 our nationally certified and state licensed pediatric Audiologist is committed to providing quality services to children from all ages, from infants to young adults. Using the latest diagnostic tools to evaluate hearing in infants and children, Dr. Norris has extensive experience and is specially trained to evaluate hearing in difficult to test children or patients who may have other disabilities. You can learn more about the services offered by reading through this section of our website.